Square Enix is back at it again with their latest addition to the Just Cause series. 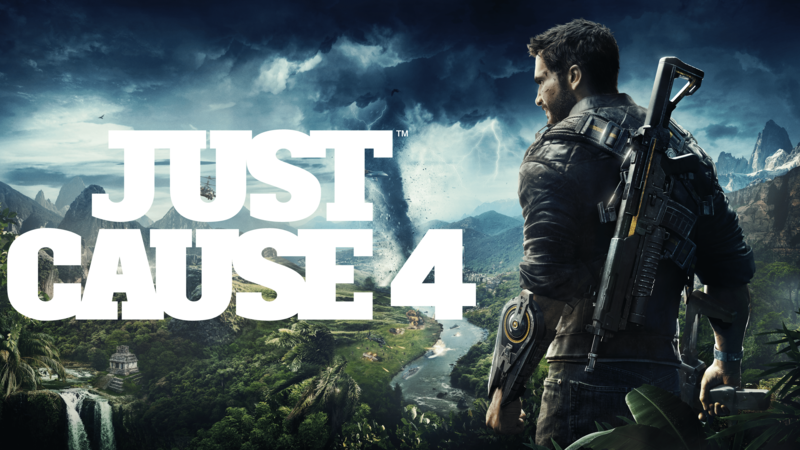 Just Cause 4 is an ambitious open world game with explosions, epic stunts, new toys and more explosions! (seriously, almost anything you shoot will explode). Graphics were superb, at max settings the colors were vibrant and the textures were gorgeous. Explosions definitely have to be commended here. They are beautifully colored and mimic real life explosions very accurately. I also love the strong, heavy glow that is emitted from the explosions and how it temporarily adds a hint of red to everything on screen. It’s details like that which make the experience so immersive and enjoyable. Landscapes look incredibly realistic. They have a very nice natural feel to them and make the game look very cinematic. However, the game is poorly optimized, I faced frame drops far more often than I expected despite having a fairly beefy laptop (Acer Predator Triton 700). Aside from that I maintained about 90-100 FPS. Each mission is very shallow and basic. There is no form of puzzle or anything challenging that requires you to think. All of the time it is spray bad guys down with lead and blow stuff up. There is so much potential for this game that has gone to waste because of poor designing like this. With so much head space given to the player and so little rules to follow you would think that this game can be played in so many creative ways, but in fact that is the reason why the missions are so dull. The lack of order and rules. Everything is presented to you right there. The game doesn’t make you think, it spoon feeds you and gives you direct orders to do something. These weren’t game breaking or anything of the sort, it was just some issues with their physics engine. Nonetheless to see a game of this caliber have so many bugs in it is rather disappointing. The mechanics of the game are very similar to Just Cause 3, except for a few changes. The first major one is that Left Shift is now used to zoom in to aim which took quite a while to get used to. I can’t tell you how many times I used right click to zoom in and ended up grappling the enemy. The second big change is that Tab is now used to activate Rico’s AR lens which is almost like having x-ray vision. Next, to open up the map, you need to press 1. Yep, that was an annoying one for me. This means that the only ways (That I’ve found) to switch weapons is to use the scroll wheel or hold R.
Of course these controls can all be remapped in the settings menu but so many keys are already in use that I decided it would be better to just learn the controls instead. I also want to point out that driving in this game is a little strange. All land vehicles turn very aggressively and a lot of the times I end up over-steering and skidding to a halt. As a die-hard Just Cause 3 fan, I would definitely say that this game has been a let-down. I expected far more, mostly content-wise from a game such as Just Cause 4. The game proves to be a massive sandbox with lots of toys for Rico to play with. However it doesn’t create any scenario for you and you kind of just have to make your own fun with the toys that have been given to you.